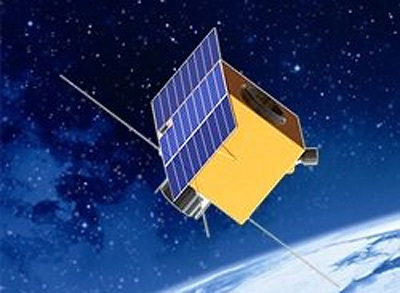 The OVS 2 earth observation satellites are the video component of the Chinese Orbita or Zhuhai-1 earth observation system by Zhuhai Orbita Control Engineering Ltd. The OVS-2 satellites are the video component of the constellation and are improved versions of the prototype OVS 1 satellites. The operational Orbita constellation is to consist of ten video satellites (OVS-2), hyperspectral satellites (OHS-2) and small personal satellites (OPS-2). The satellites feature a high-resolution video system for earth observation with a spatial resolution of 0.9 m and a swath width of 22.5 km. It can capture vide sequences of 120 seconds. In push-broom mode it can capture images of 2500 km length. The first OVS-2 video satellites was launched on a CZ-11 rocket in 2018.